The thinner sole unit and air pockets in the forefoot provides sufficient shock absorption and enough resilience. What’s Asics GT 2000 6? If you have tried Asics Gel Nimbus 20, you might be reluctant to purchase another shoe model made by the same company. But if you are among the men or women of many dry runs, you may want to give the newly redesigned GT-2000 6 a shot. The GT-2000 is the sixth rendition of the modish Asics shoe series. It comes in a streamlined, more lightweight package that easily impresses even the most meticulous persons. From the new sleek look to the advanced runner’s choice features, this model is quite sufficient for the price. Who Should Buy these Shoes? 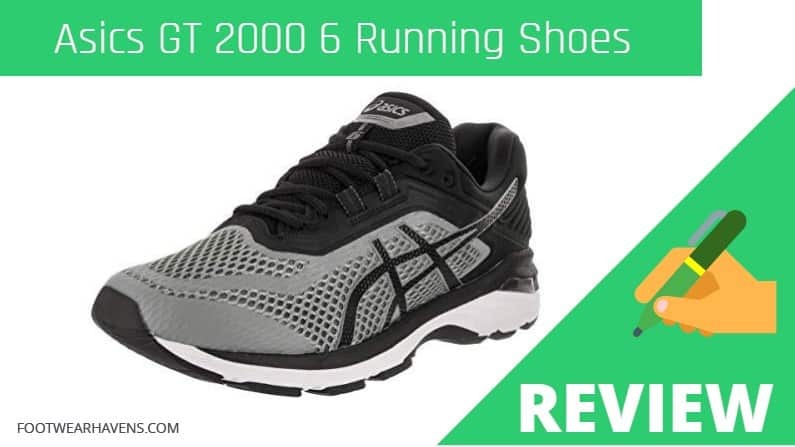 The Asics GT 2000 6 is made for runners looking for stability and a little more performance. A wider to box, extra cushioning system, Flytefoam midsole, and the guidance Trusstic are the obvious hallmarks of this model. And in my opinion, it is a basic, stability shoe with so much to offer. The fit is perfect, and the vented medial just above the arch is certainly a nice touch, so I encourage you to try them. 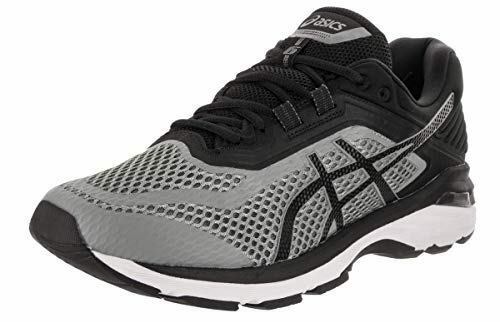 While it is true that the Asics GT-2000 6 was a little late to join the Flytefoam boat, it may well be argued that the company had a bigger plan for the shoe model. Asics completely remodeled the shoe to shrink its weight while still maintaining its stability. The new Flytefoam technology has replaced their former EVA Fluidride tech in the midsole for a lighter experience and more efficient cadence. The Asics GT-2000 6’s upper feels more breathable thanks to the simplified thin open mesh and vented inner mid foot panel. The exterior plastic seen on previous models in this series has been thinned down to an internal heel counter. This allows for an all-around better fit and guards the heel from irritation due to excessive horizontal motion. The upper fit and heel are also redesigned with a widened forefoot and toe box for maximum comfort and solid control. The medial upper, right above the arch, is fused with a rubbery panel that is amply perforated for improved air circulation to keep your feet aerated all the time. The toe box has lost some height due to the unstitched toe bumper and it now feels more spacious. And the new lacing system allows for a tighter fit with the looped second and third attachments. The heel collar is a bit too basic. However, it has an extra padding and heel lining material that’s quite handy in keeping the feet stable by increasing the heel grip. You will love the extra padding on the heel collar because it keeps the heels from slipping. While some people have found the midsole somewhat stiff, the improved cushioning system is certainly on point. The sole unit is a few millimeters thinner, and the heel midsole is a bit more balanced. This is realized with the help of the Guidance Line and Trusstic System, which conveniently exposes the upper midsole from the heel to the toe in order to better balance the weight on the shoe. Both the outer and inner midsole are structured to balance perfectly to arch the wearer in a supportive gait. Again, the significant drop in weight due to the thinner sole unit makes for quicker movements without strain or fatigue on the wearer. The forefoot of this model is a bit firmer, thanks to the Flytefoam technology. And while flexible isn’t the term I would normally use here, the forefoot certainly feels more consistent. The outer sole is fitted with a plastic stem in the mid foot area and segmented rubber lugs, which serve to insulated the shoe from rough terrains. The extra cushioning system serves to protect the feet from blisters and sweating, and the toe bumper gives a smooth transition when you bump into a rock. The sole unit is now much thinner and there are more air pockets in the forefoot and lateral heel for greater resilience and shock absorption. The Asics GT-2000 6 employs Flytefoam technology, which feels 50% lighter than other cushioning systems. This has accounted for a significant drop of 0.7oz in the shoe’s overall weight. But there’s even more to be loved in the pair. The extra gel air pockets in the lateral heel and forefoot have improved the shoe’s shock absorption capacity and accounts for greater resilience in rough terrains.